Certification in Orthotics in 1986. Dawn has extensive experience in both paediatric and adult orthotic needs. 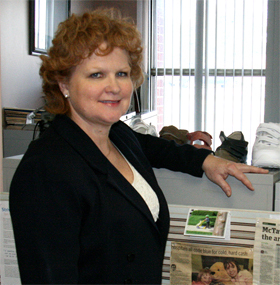 Ms. MacArthur-Turner started Custom Orthotics of London Inc. in 1987, providing service in Southwestern Ontario. In addition, Dawn has acted as President of the Ontario Association for Prosthetists and Orthotists, a director for both Canadian Association of Prosthetists and Orthotists (CAPO) and Orthotics Prosthetics Canada (OPC). She continues to volunteer her time in the community and in the paediatric outreach clinic in Jamaica. A keen interest in cranial remolding therapy and the use of Outcome Measures to document the effectiveness of Lower Extremity Orthotic Treatment. 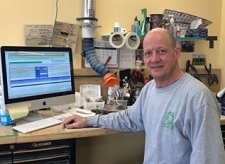 Scott graduated from the George Brown Prosthetic and Orthotic Technician program in 1990. He received his designation of Registered Orthotic Technician in 1998. He has been a valuable member of our team since 1997. Barb has been the Office Manager with Custom Orthotics of London Inc. since 1998. Barb will be happy to answer your questions and book appointments. She has a strong knowledge of the funding sources and opportunities available in the Orthotic industry. Becky graduated from the University of Guelph in 2013 with a Bachelor of Science degree, with Honors majoring in Human Kinetics. 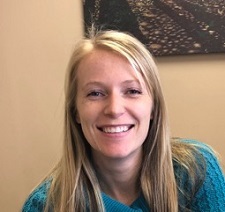 She completed the George Brown Prosthetic and Orthotic Technician program in 2015 and recently received her designation of Registered Orthotic Technician this year. Nicole started working for Custom Orthotics of London Inc. in July 2017 as the Clinical Assistant. Nicole Graduated from Sheridan in 2012 and has a Bachelor of Health Science Degree as well as a back ground in Athletic Therapy.